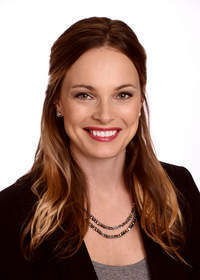 SEATTLE, WA--(Marketwired - Jun 22, 2015) - Cushman & Wakefield | Commerce today announced the Seattle office has grown with the addition of a new Senior Director, Brie Jensen. "We are thrilled to have Brie join the Cushman & Wakefield | Commerce team," said Dave Magee, Market Leader of Cushman & Wakefield | Commerce Washington Region. "Her diverse and impressive professional experience is enhanced by her legal background, which gives her a significant competitive edge. Brie has a history of working with professionals within our Seattle office, which makes her a complementary addition to the overall Seattle team." Prior to joining Cushman & Wakefield | Commerce, Jensen was partner at Pacifica Law Group, associate at Socius Law Group, Jameson Babbit Stites & Lombard, and Preston Gates & Ellis (now K&L Gates). With extensive experience practicing law, Jensen knows how to successfully bring the business and legal sides together, which is often an area where negotiations can stall. She quickly, yet thoughtfully, wades through nuances to keep transaction on track to completion, meeting clients' short and long-term objectives.